A distressed 20 unit franchise of Yum! Brands, Inc. operating Taco Bell and KFC restaurants in New York and Ohio. Red Pine recapitalized the company in part by structuring a sale leaseback program which provided liquidity to finance future development and improve the company’s core operations. Yummy Inc. and its affiliates were subsequently sold in a franchise rollup. Red Pine’s hold period was one year. Together with a partner, Red Pine acquired a 20 year old golf course located in Lake Geneva, Wisconsin from a long time owner/operator. The venture also purchased an additional 80 acre adjacent parcel upon which single family homes will ultimately be developed together with a retail/lifestyle component. The golf course was redesigned by a new management team to optimize the course’s potential and operations were streamlined to improve profitability and public image. Red Pines interest was sold to its joint venture partner after stabilization. 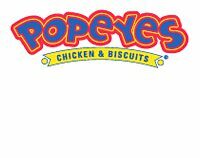 Red Pine acquired five (5) Popeye’s Chicken & Biscuits restaurants located in and around Baltimore, Maryland from the largest Popeye’s franchisee in the Mid-Atlantic United States. Red Pine also issued convertible preferred debt to the operator in order to buy-out the franchisee’s existing equity partner and provide capital for future acquisitions. A Red Pine affiliate issued a PIK loan to the founders and operators of a leading custom apparel maker and affiliated barbershop located in Manhattan and Tokyo. Red Pine sold its loan to a licensee of the borrower after the borrower achieved certain retail sale hurdles. Red Pine, on behalf of investors, acquired a 7,100 sf retail condominium at the historic Cocoa Exchange Building located at One Wall Street Court in Manhattan. The condominium is currently operated as the top performing Haru Restaurant in Manhattan. Subsequently the same investor group acquired the subterranean retail condominium housing Fino Restaurante. 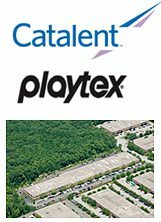 Red Pine acquired a 110,000sf light industrial building located in Allendale, NJ and one hundred percent (100%) occupied by two tenants – Playtex (a division of Energizer Holdings) and Catalent (a pharma company that recently acquired Aptuit). An affiliate of Red Pine acquired a portfolio of hospitality assets leased to Friendly’s Ice Cream Corporation and subsequently sold certain of the restaurants to a financial buyer. Red Pine also provided bridge financing to buyers of the assets in the portfolio with the highest unit level coverage ratios at interest rates equal to the investor’s return. 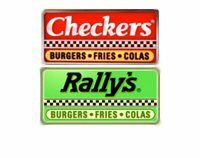 A Red Pine affiliate is a leading franchisee of Checkers restaurants in Northern and Central Florida currently operating nine (9) stores with several additional restaurants in the development pipeline. Checkers Franchisee of the Year 2014. Red Pine acquired a portfolio of real estate assets in Brooklyn, New York and Baldwin, New York, occupied exclusively by the United States Postal Service, including a major northeast parcel distribution center. Each of the sites are located on heavily trafficked thoroughfares and have superior development viability. 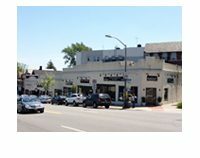 An affiliate of Red Pine acquired a non-performing mortgage loan secured by a struggling six (6) unit retail strip located on the main retail and pedestrian corridor in central Montclair, NJ. Red Pine settled outstanding litigation and repositioned the asset by filing all vacancies with tenants on long term triple-net leases. Red Pine subsequently refinanced the asset once stabilized. Red Pine acquired a portfolio of three (3) Arby’s restaurants located in Minnesota pursuant to long term, triple net leases with an affiliate of Arby’s Restaurant Group, Inc. (which lease was guaranteed by the parent company). Red Pine, together with a partner, acquired from a distressed condominium developer a street level, retail condominium in lower Manhattan. The unit, acquired at an aggressive capitalization rate, is leased to Chipotle Mexican Grill pursuant to a long term, double net lease. The sale enabled the developer to pay down a portion of its existing construction debt and finance continuing operations. 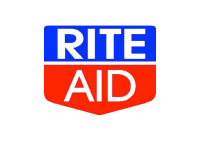 Red Pine acquired on behalf of investors a portfolio of four (4) Rite Aid pharmacies located in Tennessee, Maine, North Carolina and Rhode Island subject to long term leases. An affiliate of Red Pine acquired a CVS in Shallotte, North Carolina and subsequently completed a 1031 exchange upon sale of the asset. 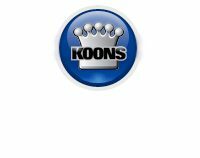 An affiliate of Red Pine sponsored a tenant in common acquisition of four convenience store and pump stations in southern Arkansas and Louisiana which the venture triple net leased to Food Fast Corporation, an operator of over 60 convenience stores and a fuel distributor in the southeastern United States. 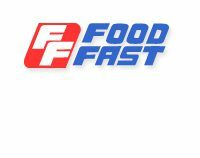 Food Fast was subsequently acquired by Fikes, substantially increasing the credit of the tenant. Red Pine acquired a portfolio of three (3) bank branches, on the Cape Cod peninsula in Massachusetts, occupied by Santander. The tenant also provided financing for the portfolio acquisition. Red Pine provided first mortgage acquisition financing to the buyer of a portfolio of McDonald’s ground lease sites located within a thirty mile radius of Atlanta, GA. The interest rates in connection with the financing were equivalent to the capitalization rate of the borrower’s investment. 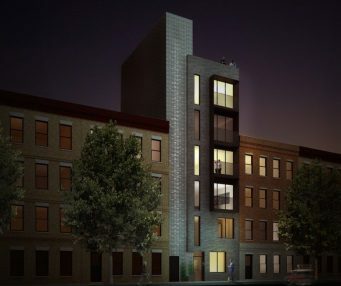 In 2016, Red Pine sponsored a venture with Greenwich Street Equities in the acquisition, financing, and development of a condominium project located in the Crown Heights section of Brooklyn, New York. Red Pine acquired a portfolio of two convenience store/pump stations in York, Maine and Orono, Maine leased to Irving Oil which, in turn, subleases the assets to Circle K.
Red Pine sponsored the acquisition by tenants in common of a portfolio of four (4) Red Lobster restaurants located in Alabama, New York, New Jersey, and North Carolina. Red Pine acquired from retiring owners this 40 year old Arizona based retail and wholesale seller of outdoor gear, apparel, camping equipment and military surplus items. Red Pine installed a new management team and increased cash flow by changing the capital structure, marketing aggressively and improving online and fulfillment operations. The company was sold to Red Pine’s operating partner. Red Pine provided subordinate secured financing for the operator of six Golden Corral franchise restaurants in the Arizona region which the company used to finance acquisition and development of additional sites. An affiliate of Red Pine acquired a Circle K convenience store and pump station on the corner of a major intersection in Scottsdale, Arizona as a component piece of a larger sale lease back portfolio financing. 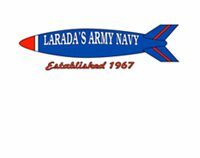 Drawing upon the synergies between the military, public service employees and the strategic location of its existing army navy retail outlet, Red Pine built upon the service and distribution backbone of its retail operation to grow a uniform and related supply company. 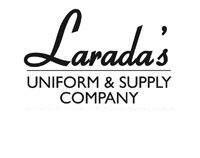 Red Pine hired a sales force comprised of several uniform industry veterans to become a prominent national player in the uniform supply space. The company was sold together with retail operations to Red Pine’s operating partner. Red Pine provided a bridge loan to the principals of this GM auto dealership in the suburban Washington D.C. market to provide capital for commitments for the dealership’s acquisition of two additional dealers while its current real estate holdings were marketed for sale. 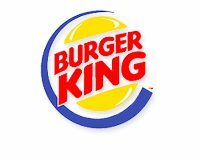 Red Pine provided a bridge loan to the principals of a portfolio buyer of franchised, triple net leased Burger King assets in the Northeast until such time as the borrower was able to refinance each asset individually through a conventional mortgage lender. Red Pine sponsored the acquisition of a 15,000 square foot building that houses the corporate offices and largest branch of First Niagara Bank located in Washington, P.A. Red Pine arranged financing for the acquisition by First Niagara for the property where the bank is the sole tenant. On the date of closing, First Niagara announced its acquisition of New Alliance and will operate 340 branches across Connecticut, Massachusetts, Pennsylvania, and upstate New York. Red Pine acquired a commercial condominium in Tampa in which the tenant, a publicly traded health care provider conducts its customer service and imaging operations. A Red Pine subsidiary acquired a Walgreens ground lease in Denver, Colorado. Red Pine relocated Walgreens to the site and refinanced the property. Red Pine structured and sponsored the acquisition of a large branch of Peoples Bank in Taos, New Mexico, by tenant in common investors, utilizing financing arranged by RPCP and provided by the tenant. Red Pine provided bridge financing for the buyer of a municipal pump station operated by Western Refining in Tucson, Arizona. The loan was repaid during the lockout period, yielding investors substantial return. 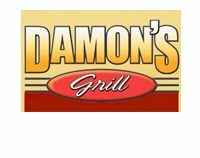 A Red Pine affiliate acquired Four Aces LLC and Village Chapel LLC, which are both holding companies that own properties upon which the largest mid-atlantic franchisee of Damon’s Restaurants operates its businesses. Red Pine structured a sale leaseback financing to infuse cash into the operator which is using the proceeds to improve operations and develop additional sites.